The greatest increase in PR interval duration is typically between the first and second beats of the cycle. The RR interval progressively shortens with each beat of the cycle. The Wenckebach pattern tends to repeat in P:QRS groups with ratios of 3:2, 4:3 or 5:4. 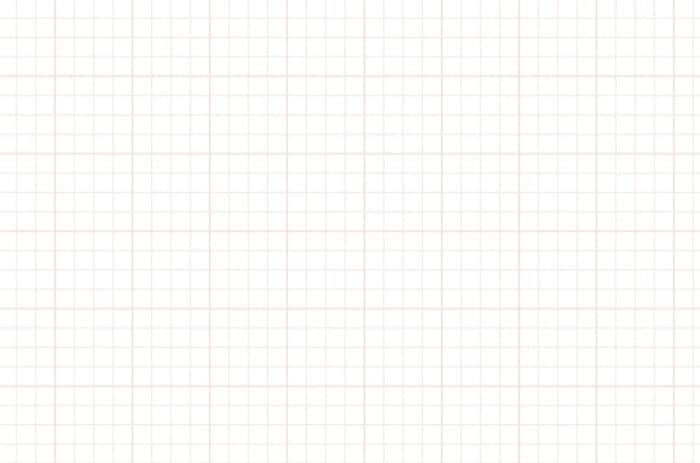 Mobitz I is usually due to reversible conduction block at the level of the AV node. Malfunctioning AV node cells tend to progressively fatigue until they fail to conduct an impulse. This is different to cells of the His-Purkinje system which tend to fail suddenly and unexpectedly (i.e. producing a Mobitz II block). Mobitz I is usually a benign rhythm, causing minimal haemodynamic disturbance and with low risk of progression to third degree heart block. Asymptomatic patients do not require treatment. Symptomatic patients usually respond to atropine. Permanent pacing is rarely required. 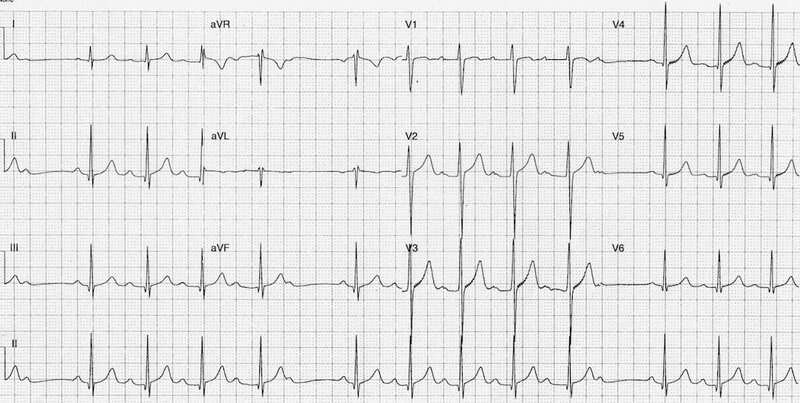 The first clue to the presence of Wenckebach AV block on this ECG is the way the QRS complexes cluster into groups, separated by short pauses (This phenomenon usually represents 2nd-degree AV block or non-conducted PACs; occasionally SA exit block). At the end of each group is a non-conducted P wave. The PR interval progressively increases from one complex to the next. The Wenckebach pattern here is repeating in cycles of 5 P waves to 4 QRS complexes (5:4 conduction ratio). The increase in PR interval from one complex to the next is subtle. However, the difference is more obvious if you compare the first PR interval in the cycle to the last. The P-P interval is relatively constant despite the irregularity of the QRS complexes. Thanks to Dr Harry Patterson, FACEM, for providing this ECG. QRS complexes cluster in groups, separated by non-conducted P waves. The P:QRS conduction ratio varies from 5:4 to 6:5. Note the difference in PR interval between the first and last QRS complex of each group. The majority of the rhythm strip shows 2:1 AV conduction, which makes identification of the type of block difficult (i.e. it could represent Mobitz I or Mobitz II). However, there is a single 3:2 Wenckebach cycle visible in the middle of the rhythm strip (QRS complexes 5 + 6). If you look hard, you can see a non-conducted P wave deforming the downslope of the T wave in complex 6. Continuous rhythm strip recording revealed that this patient was indeed in Mobitz I AV block. AV block may occur in the context of an inferior STEMI due to ischaemia / infarction of the AV node, or due to increased vagal tone (= the Bezold-Jarisch reflex). Small atrial pacing spikes precede the QRS complexes. The interval between the pacing spikes increases progressively until there is a non-conducted pacing spike. 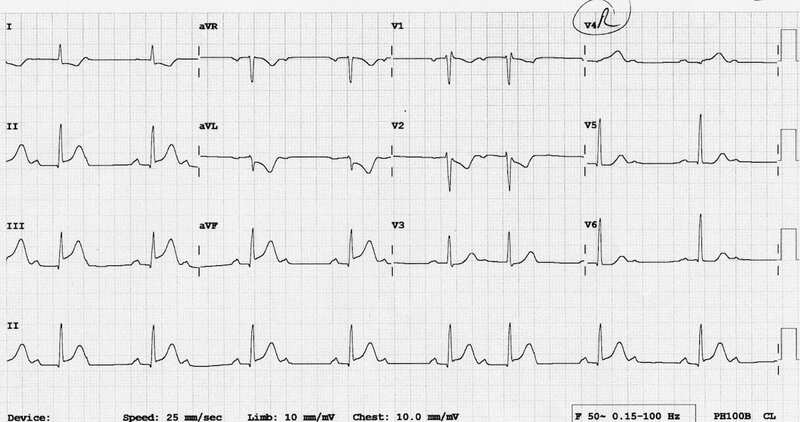 This ECG rhythm strip was originally featured on this page as an example of Wenckebach AV block. Can you spot the “deliberate” mistake? Q1. 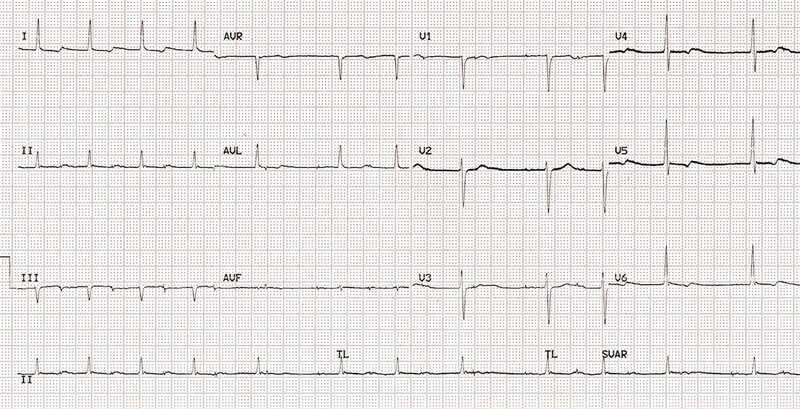 What features of Wenckebach AV block are present on this ECG? Q2. What features of Wenckebach are notably ABSENT? Q3. What possible explanations could exist to explain this tracing? 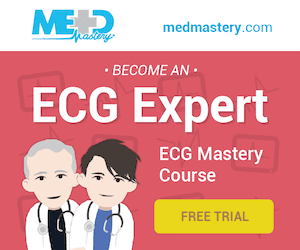 Now read ECG exigency 18.2 for answers and explanations to these questions. Dr Ed Burns . Emergency Physician in Pre-hospital and Retrieval Medicine in Sydney, Australia. He has a passion for ECG interpretation and medical education.